Timothy Ministry: Faith or Faithfulness? In recent Biblical scholarship there has been a push in certain circles to redefine the word "faith" as we know it in our Bibles to mean "faithfulness." That is, whenever you read in the Bible that we are justified through "faith", we are now told that we ought to understand this saying to mean we are justified through "faithfulness". In English there is a difference between "faith" and "faithfulness", and there is a difference in the meaning of these words because in reality and experience these are two different things altogether. Who doesn't know the difference? 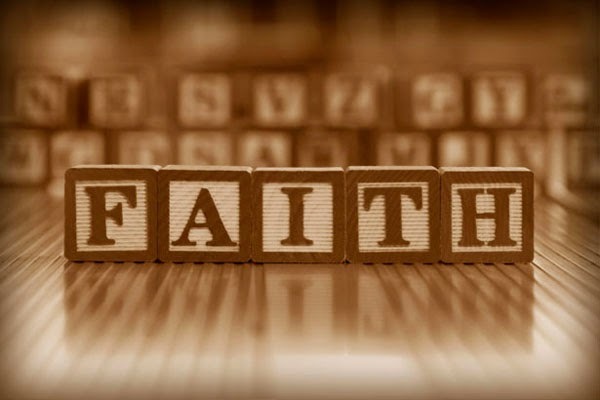 Faithfulness is a word that focuses inside the self, but faith is a word that focuses outside the self, upon an object that is being believed or trusted in. Faithfulness has to do with how reliable or trustworthy I am. Faith has to do with how reliable and trustworthy the object is that I am believing in. Changing our understanding from "faith" to "faithfulness" greatly affects the meaning of the gospel. This is not a small interpretative issue. To say that we are saved through faithfulness is different than to say that we are saved through faith. The former makes it a self-focused salvation that is about our own reliability and work, while the latter is a God-focused salvation that is about looking away from ourselves and trusting in Christ's reliability and work. I am unconvinced that when the Scriptures speak of "faith" we are to understand it as "faithfulness". Rather, the Scriptures are primarily speaking of "faith" as we know it in English, and not "faithfulness". "Faith" is a good translation, which is why it has been translated that way since the beginning. Lexically, the Greek word pistis--which is the word we translate as "faith"--primarily means "persuasion" or "conviction", though secondarily it can mean "faithfulness". There is another Greek word which primarily means "faithfulness". Most Greek dictionaries favor "faith" as the meaning of pistis. Moreover, this definition seems to be the obvious meaning by the way pistis is used in Scripture. In Scripture, "faith" is related to that which is unseen, to hope, to God's promises, and is contrasted with doubting (Matt. 14:13, Mark 11:23, James 1:6). Faith is put "in/into" objects (Christ, Christ's words, God's promises, etc.) When we examine the contexts in which it is used it best makes sense to understand it as the English word "faith", not "faithfulness". For example, Thomas will not believe unless He puts his fingers in the wounds of Jesus. Jesus asks the father of the lunatic if he believes He can heal his son, and the man says, "I believe, help my unbelief." When the centurion says that Jesus only needs to say the word and his servant will be healed, Jesus says, "I haven't found faith like this in Israel!" In Hebrews 11, Moses is said to have endured hardships because He believed in the invisible promises of God. Thus his "faithfulness" to God and God's people was based upon his "faith" in the truth. The two are distinct. In 2 Chronicles 32:8 faith is described when the people of Judah "rest themselves upon the words of Hezekiah". That is, they believe his words. In Paul's commentary on Genesis 15:6, Paul shares how Abraham was "persuaded that what God had promised, God was able to perform, and therefore it was imputed unto him for righteousness." (Rom. 4:20-21) Abraham's faith was about Abraham trusting in what God said He would do; it was not about his own reliability, but his faith in God's reliability. Jesus regularly contrasted faith with unbelief: "Oh you of little faith, why did you doubt?" The examples could go on and on, which show that "faith" and not "faithfulness" makes sense of the contexts. Christ and the bronze serpent are compared. Jesus was crucified and became sin for us. Whoever believes in Him will not perish but will have eternal life. In the Numbers account, the people were perishing, but simply looked to the bronze serpent and were healed. This story captures how salvation is not about our works and faithfulness--for we are saved and healed as unfaithful sinners who are perishing on account of our sins--but that it is all about looking to Christ by faith. It would be a stretch to say that this story has anything to do with a life-long process of faithfulness. This plain sense of the story can be clearly seen in the preaching of the apostles in the Book of Acts and in the explanations of the gospel in the epistles. The only merging of the two concepts of "faith" and "faithfulness" that I can see as being possible in light of the use of faith in the Scriptures is that our "faith" should be "firm"; that is, we should have firm trust in God. But I cannot see how the meaning of "faith" can be "faithfulness", which focuses on ourselves and on our own reliability. Thus, when the Scriptures say we are saved by grace through faith and not of works lest any man should boast, it means that we are saved by simply "believing the message of truth when we hear it" (Eph. 1:13), which, like Abraham's faith, gives God glory because we are proclaiming that He is trustworthy and is able to do what He promises, even for unreliable sinners! Thanks for the post Eli. Your comments help to bring clarity. Question: How does "Faith is ... "the evidence of things not seen" relate to faithfulness? Since faith without works is dead, do you believe that our belief in who GOD is should cause us to be "faithful"? Thank you so much for posting! Although this is an older blog, I was inspired as it brought a lot of my ideas and speculations into words that could be understood. I was on online parallel bible and saw word "faithful" when other translations said faith or believe, and knew that was not the correct meaning, so found your article very refreshing! Another thought came --that faithful maybe could be defined as "full of faith". That's what God "the trinity" is desiring from us above all else. Thanks much for your writing! Woow I love this article, last time I thought this in my church and people was like wooow,now I met this article and it has given me more wilder knowledge on this topic. Thanks so much. Wow! Thank you very much for this post. God bless you.